USS Roger Williams NCC-74685 | A Meeting Chapter of STARFLEET, The International Star Trek Fan Association, Inc.
A Meeting Chapter of STARFLEET, The International Star Trek Fan Association, Inc. 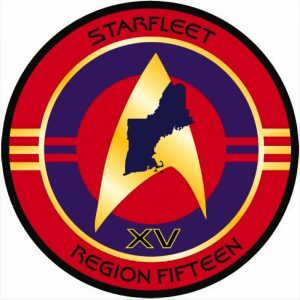 The USS Roger Williams NCC-74685 is a meeting chapter of STARFLEET, The International Star Trek Fan Association, Inc. located in Providence, RI. The chapter formed in January 2018 and the fictional timeline of the chapter was originally set in the Trek calendar year of 2381. To help you understand the time line, The Star Trek: Voyager series ended in the Trek calendar of 2378; Star Trek: Nemesis movie was set in the Trek calendar year do 2379. 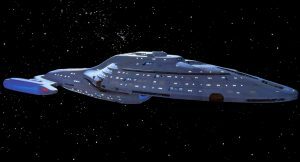 Originally inspired by “Star Trek”, the USS Roger Williams is a science fiction and fantasy fan club that embraces anything from Captain James Kirk to Doctor Who. The USS Roger Williams also participates in many events that includes, but is not limited to: Cookouts, movies, parties or celebrations, trips to local tourist attractions, and Sci-Fi conventions. Membership to the USS Roger Williams is open to any STARFLEET, Int. member in good standing, although the USS Roger Williams is classified as a meeting chapter we use several communications mediums to keep in touch and reach the membership base. At present we use the old standards of land-mail and telephone tree, as well as the Internet such as: email, Facebook, messaging and video conferencing. We’re also dedicated to making the world a better place. Not all members participate in our community service projects. We will be collecting Labels for Education and during the holidays we will collect donations for the areas Toys for Tots campaign and the Angel Tree Project. We participate in food can drives and recycling. That’s just an example of how our community service is actually global service and because of our efforts to embrace the ideals of “Star Trek” creator Gene Roddenberry, we’re doing our part to meet his vision of a better world. To see what we do, check out our newsletter, “THE ORCLE”. Better yet, come aboard our ship by clicking the “Join STARFLEET” link tot he right.